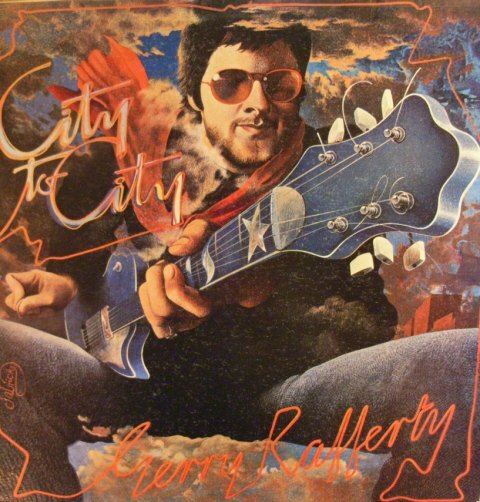 The cover art is by an artist simply known as ‘Patrick’ (you can see his signature at the bottom left in the image above). ‘Patrick’ is actually Scottish artist and playwright John Byrne. 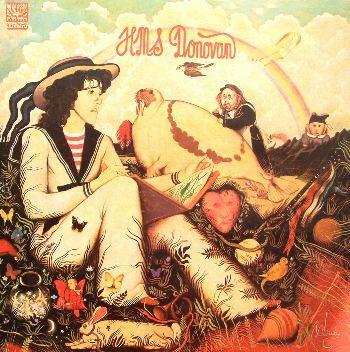 His art was popular with the Beatles and in 1968 they commissioned him to create a possible cover for what would become “The Beatles” (also known as “The White Album”). 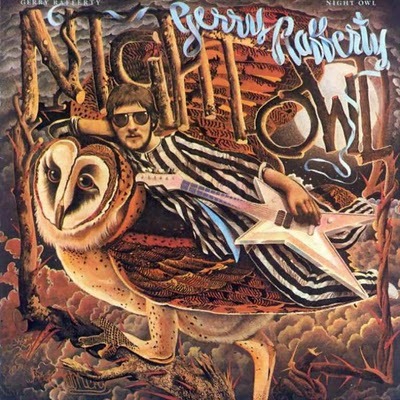 Byrne’s style and concept appears to support the original working title of that album which was “A Doll’s House”. 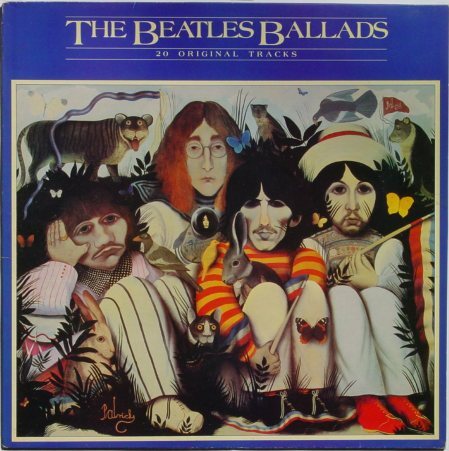 Turns out it wasn’t used then, but the work re-surfaced as the cover for the compilation album “The Beatles Ballads” twelve years later. 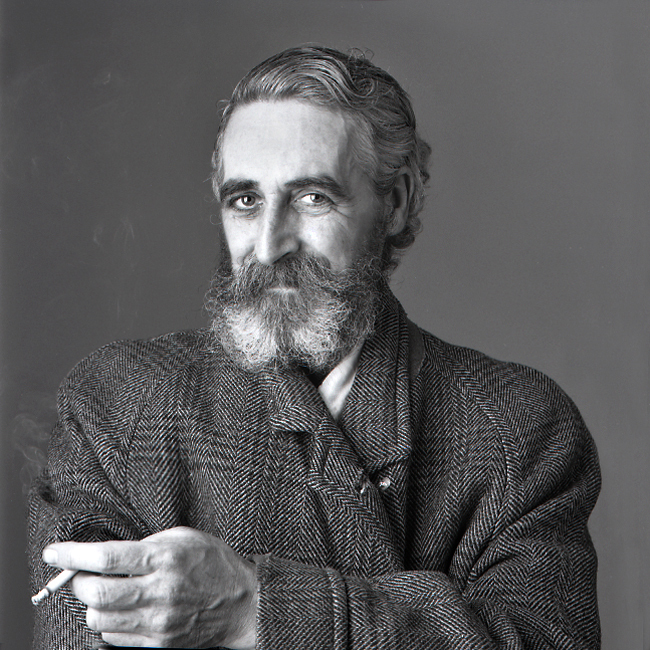 John Byrne (b.1940) has had an interesting and varied life. He grew up on a notoriously tough housing estate in Paisley, not far from Glasgow in Scotland. He escaped work in a carpet factory to study at the Glasgow School of Art, and carved out a successful dual career as both an artist and a writer. John ‘Patrick’ Byrne’s biography reflects his diverse talents. He’s designed theatre sets and record covers. His play “The Slab Boys” (1978) won him the Evening Standard’s most promising playwright award. The very successful, six-time BAFTA award-winning television series “Tutti Frutti” appeared in 1987. These writing achievements developed alongside his prolific artistic career, which took off in 1967 when Byrne assumed the identity of ‘Patrick’ for a solo show at the Portal Gallery in London. A prolific painter, illustrator and print-maker, Byrne today boasts a range of works held in many prestigious public collections. 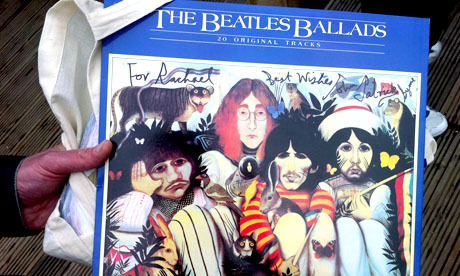 This entry was posted in Beatles, Beatles Collecting, Beatles Music, Beatles Related and tagged Beatles, Beatles Collecting, Beatles Cover Art, Beatles Related, John Byrne, Patrick by beatlesblogger. Bookmark the permalink. It was beautiful! I fell in love with it instantly. Unfortunately the album was stolen a few years later and the best replacement I could come up with was a 8×11 picture from the Beatles illustrated book . I ‘d love to get any info you might have on the print you have displayed be hind the couch! I’ve been searching for years and years looking for something like it. Can you help??? Glad that the John ‘Patrick’ Byrne/Beatles post brought back some nice memories for you. The poster I got on Ebay was from a company in the UK called Love Art Now. 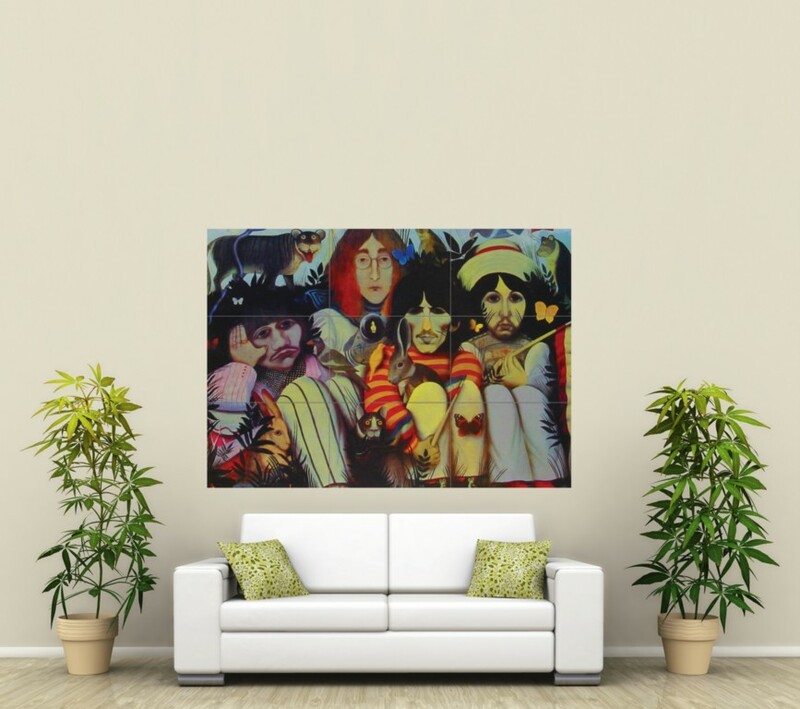 Search for ‘Beatles’ once you are on their store site as they do lots of other images. They ship these out in nine A3 sized panels which you piece together. They were great to deal with and it was not expensive. The signed copy you have the picture of is owned by my wife. I got it signed at the book festival and was interviewed when leaving. I got a lot of interest in it when I was walking around holding it. I had the idea of getting a copy signed and managed to get a mint copy from Ebay. It is now framed and I gave it to my wife for her birthday, yesterday. Hi Paul – Wow. That’s fantastic. What a great present for your wife. Thanks so much for getting in touch! I own a copy of the Poster of this Beatles painting. I bought it circa 1970 and paid one English pound for it. I took it to the Antique Road Show when they were visiting Rochdale Town Hall. That was around 5 years ago. It was worth about £30 pounds by then. I had not really taken care of the poster as it was stuck on a bedroom wall with cellotape and ripped and yellow with age. I was told it was not worth so much as it was painted after the Beatles split up and there were no autographs plus there were quite a few of these posters in circulation. Although I have never seen this poster in Liverpool. If I had known as a teenager that the Beatles would be collectable items perhaps I would have framed it. Hi Valerie – I think we all have “if I’d only realised one day this would be valuable I’d have taken better care of it” Beatle stories! One other interesting fact about John Patrick Byrne is that he is Tilda Swinton’s significant other. I have a print of this on hardboard. I just acquired it from my dad. It’s a great picture.